← The World’s Greatest Snow Day Announcement. Ever. This entry was posted in Downtown, Local business, People and tagged The Brownstone Westport, Victoria Schallert. Bookmark the permalink. Stop by before mid-March when they close or mid-May as stated at the end of the article? Mid-March. My bad. I’ll change it right now. So sad- what a wonderful store The Brownstone is! They will be missed. Thank you, Susan. Your warm words make us happy. (Making others happy has always been our primary goal.) We shall do our best to bring happiness to others during the next six weeks. Please swing by so we may say proper goodbyes in person. Sorry to hear about their closing, but it’s nice to hear about their wonderful relationship with their landlord. 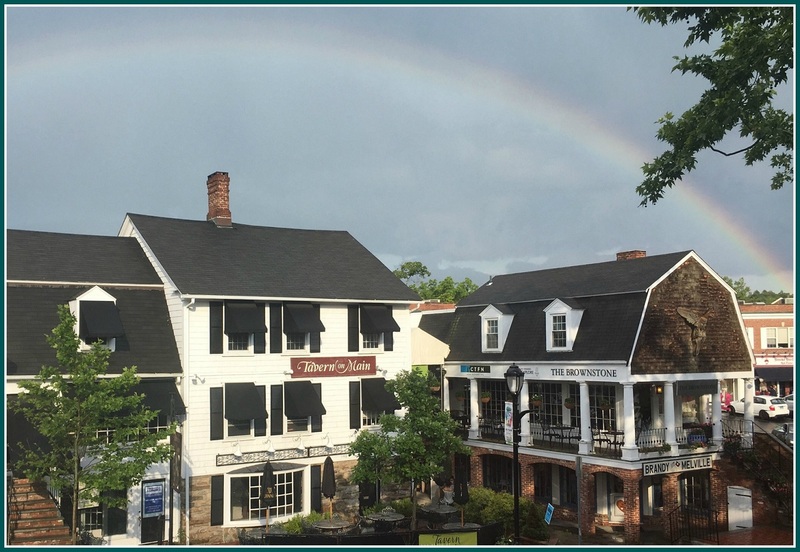 Also, I don’t recall seeing that photo by Terry Stangl before; it’s fantastic and, besides capturing a beautiful rainbow, it captures from a terrific perspective what I have always felt is the most interesting intersection/pairing of buildings in town. I hope the Westport Chamber of Commerce or Downtown Merchants Assn considers using that in a future brochure promoting Westport (if they haven’t done so already). We 💕💕💕Terry Stangl’s photo, too. “Our” end of Main Street has great charm. In warm weather we would sit on our space’s veranda and just enjoy being surround by our flower boxes and the lovely sycamore tree across the street. 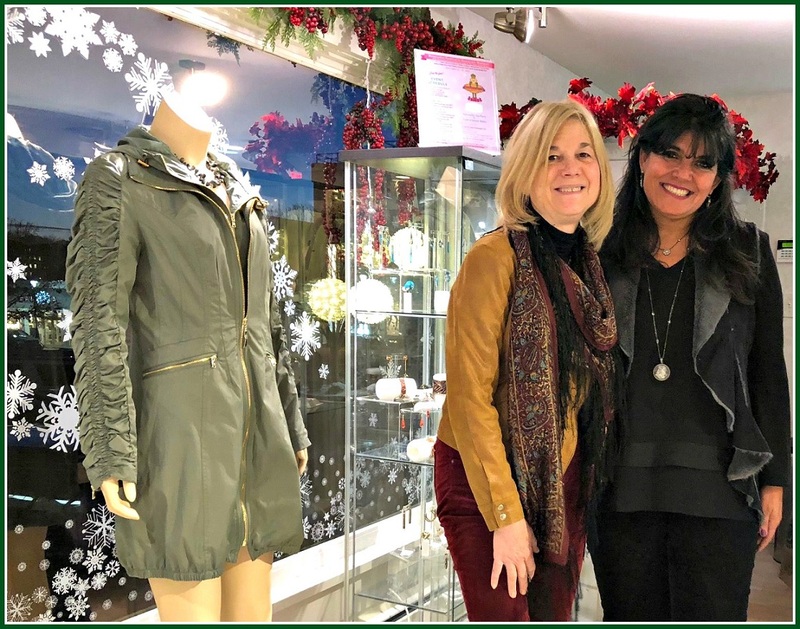 Celeste, Mariana and I thank you for including such a lovely announcement about our boutique in your blog. We are sad to leave our customers and Westport. We have been fortunate to have been embraced by this remarkable community. We carry happy memories with us, and look forward to making more during the six weeks in which we shall remain open. Maybe make some sense that other people can understand your comment. We all know sal your a big liberal and will never like jim because he is a Republican. He can’t control rents sal. They have spiraled out of control and most business in downtown Westport can’t afford them. Maybe instead of pointing fingers,you have a lot of time all day long come up with solutions. ? Jim — that is very unkind. Celeste, Mariana, and Victoria are the nicest people. And I loved having a store on Main Street that wasn’t a chain. Best of luck to you. Thank you, Mary. We deeply appreciate your kind comment and we deeply value and appreciate your support. We love your visits to our boutique! Thank you all for being such an amazing part of Downtown! You had the perfect things and you were the “locals” who knew all your customers and made us feel like your family! You will be sorely missed but never forgotten! Can we just please keep the political debate out of this unfortunate loss to downtown… Progessive Liberals, Moderate Liberals, Old Fashion Democrats, Independents, Libertarians, Moderate Republicans, Conservative Republicans and everybody in between and left and right of those I have listed above….can all agree on one thing….this is a major loss for Westport and yes….Peoples buying habits have changed but what chainstore calls you to ensure that you use the store credit before they close for good. Their vendors insist on continuing to stock the store even knowing they are closing and some even extended job opportunities. Hell, brown shipping box seems a lot nicer than the AMAZING gift wrapping that is as beautifully presented as the artisan vendors who make the beautiful assortment of clothing and accessories…yes I am guilty as are we all for not shopping there and other similar independents who are slowly disappearing. Additionally the rent is high…but that is what the market commanded and the retail model has shifted. Ultimately, traffic and sales drives profitability and decisions for independents is much more sensitive, wishing you all a wonderful next chapter. Thank you, James, for your kind words. We shall always love Westport and we are grateful for twelve years of support and loyalty that enabled us to withstand The Great Recession and two Main Street floods. We love what we do, because we love our customers. Please drop by in the next six weeks so that we may say goodbye in person. I’m so sorry to learn this. The Brownstone was a delightful boutique and I’ve loved the things I’ve purchased there. So unique and much nicer than those found in chains. I wish the ladies the best of luck snd success in the future. As I always have said this is the finest store on main St. It always reminded me of the old Westport Main St. So sorry to see it close. Never heard of this store before. Wonder what other little gems exist in town that suffer from poor marketing. We would love to have the opportunity to meet you, Andrew! Please swing by during the next six weeks!